Greetings and welcome to Stamp Collecting Clubs For Kids! 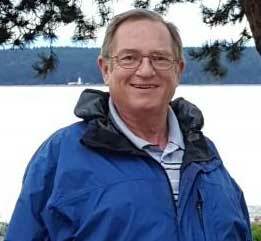 This is a photo of Robert Martin who is the founder of Stamp Collecting Clubs For Kids. As a non-profit organization, we visit public elementary schools to show kids about the hobby of stamp collecting, also called philately. Because most school administrators are not familiar with stamp collecting, the first thing we do is to "sell" the idea of an on-campus club. 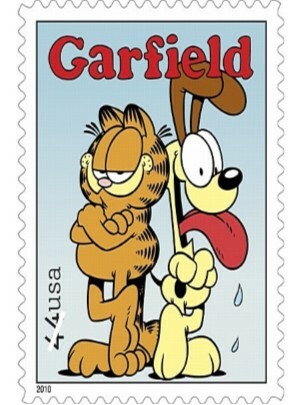 Once this has been done, the next step is to create a stamp collecting club for kids at that school. 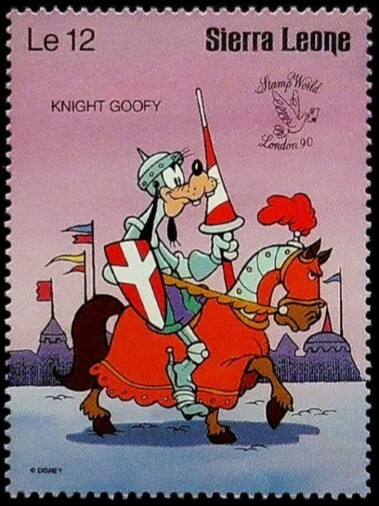 Stamp collecting is rich in history and covers virtually every topic, from cartoons, to famous actors, politicians, cars, trains, planes, boats, motorcycles, dinosaurs, kings and queens, princes and princesses, historical events, plants, animals, and so much more. 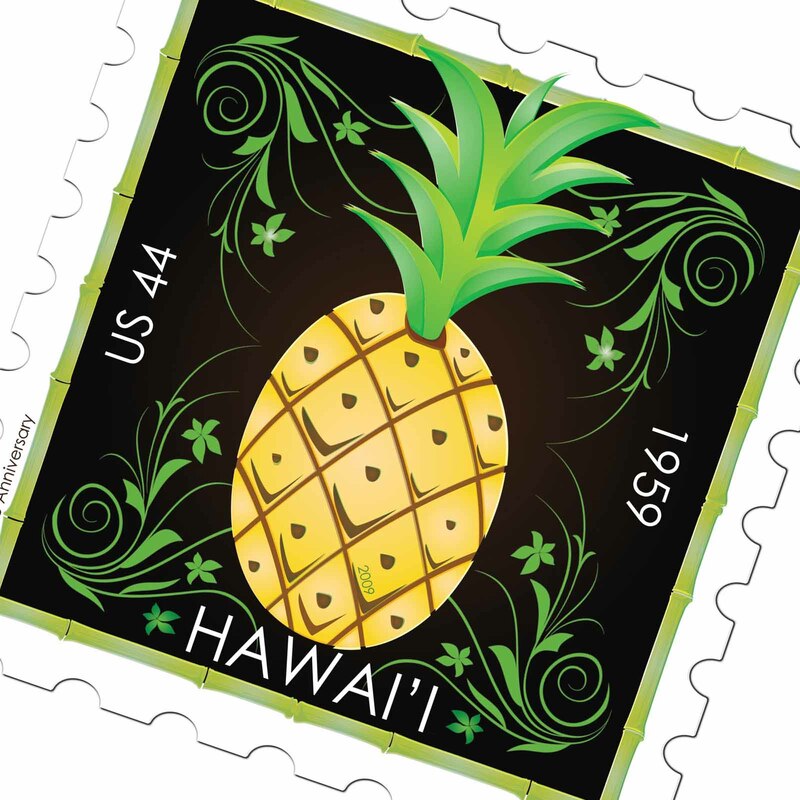 The categories are simply fantastic and stamps come from every country in the world. Every stamp that has been created has a story behind it. 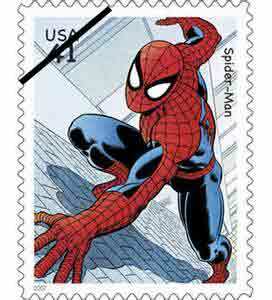 Another feature of stamp collecting is that it can be an inexpensive hobby. Stamp Collecting Clubs For Kids is entirely free to all members and is also a fun learning experience for everyone. A great example of a postage stamp is displayed to the right. 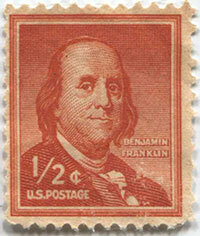 Notice, it is a 1/2 cent postage stamp of Benjamin Franklin. It is funny to think of postage as currency, but that's very close to what it is. The funnier part is that you can't tell someone, "give me half a cent" yet this is possible with stamps! Children are encouraged to expand their searches outside the United States. Stamps from foreign countries bring a piece of that country right into the collector's hands! Foreign languages, currencies, places, people, events, and animals become a mind-expanding experience and lots of fun. 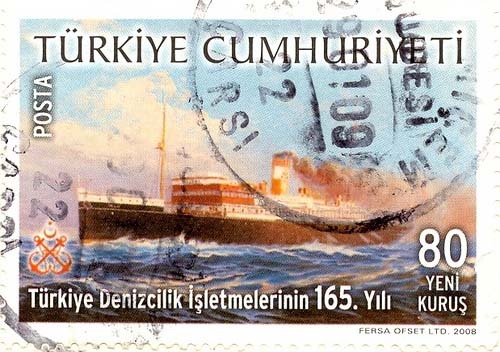 For example, the stamp on the left featuring a ship at sea is from Turkey, and shows the Turkish language and currency. 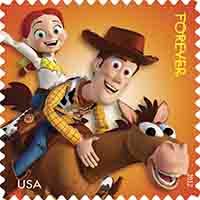 Kids are excited to discover new realms from stamps like this. This is a fun part of the hobby. Stamp Collecting Clubs For Kids publishes a monthly newsletter that explains recent meetings and covers topics related to stamp collecting. Please take a look as there is some good information contained within them that work great as references in the future. Welcome to the kids game! Click on Spiderman to begin. Mr. Martin will travel to any part of the United States to train interested adults in setting up and running a local stamp club for kids. It is not necessary for any stamp collecting experience to start up a stamp club. Stamp Collecting Clubs For Kids is a 501(c)(3) tax-exempt organization. All donations of $10 or more receive a written receipt.